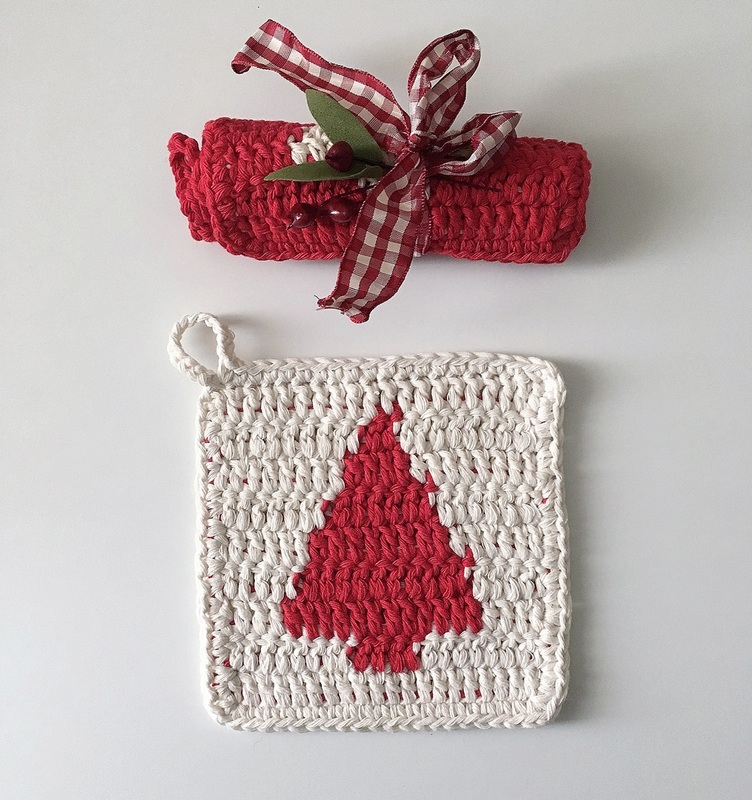 Christmas crochet pot holders? Why not! A nice accessory and a fast and fun gift idea! 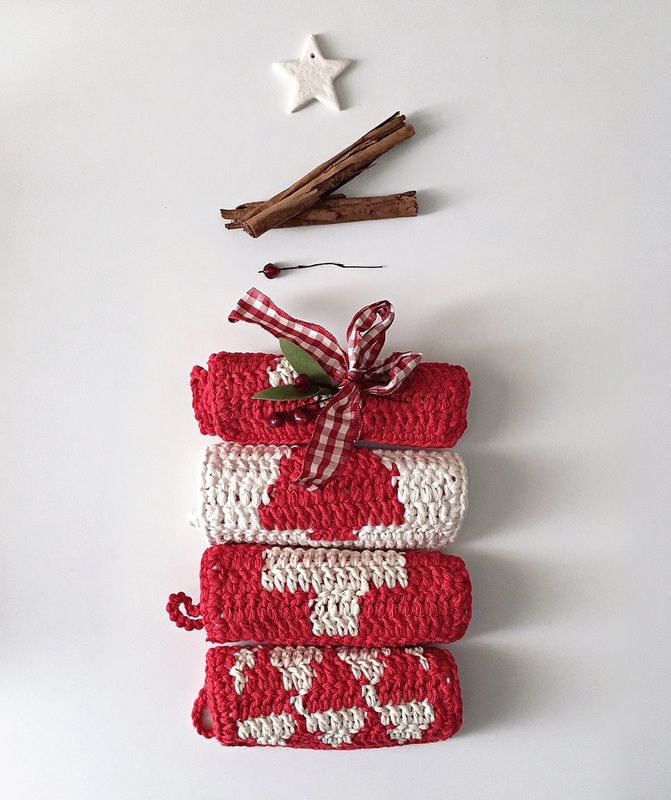 During the Advent Calendar of this 2018, we have given you some free patterns, including some nice wool decorations for your Christmas. 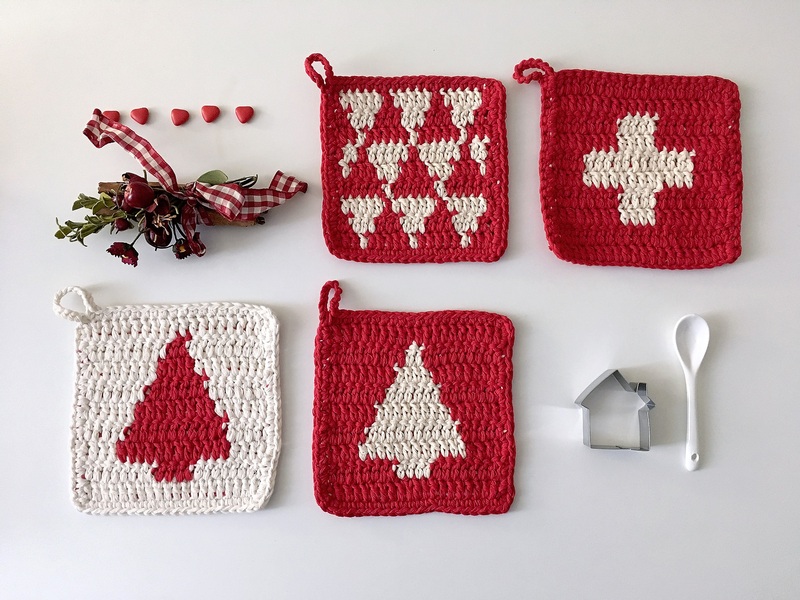 Today we are giving you a free pattern to make 4 crochet Christmas pot holders in Nordic style, “Nordic Xmas”, designed for us by a passionate and very popular designer and maker on Instagram: Mara Fornasier. The pot holders are made in Double Crochet (US Terms), with a variant of the Tapestry Crochet technique – traditionally worked in the round – instead worked flat, forth and back, using two colors, as shown in this video. Cosa serve per realizzare le presine ad uncinetto “Nordic Xmas”? Prato Cotton yarn, (a 100% cotton yarn, eco-friendly and recycled, one, of whose origin we wrote in this post!) in two colors: Ecru and Red. You can choose your favorite color combo from the 20 colors available to date! 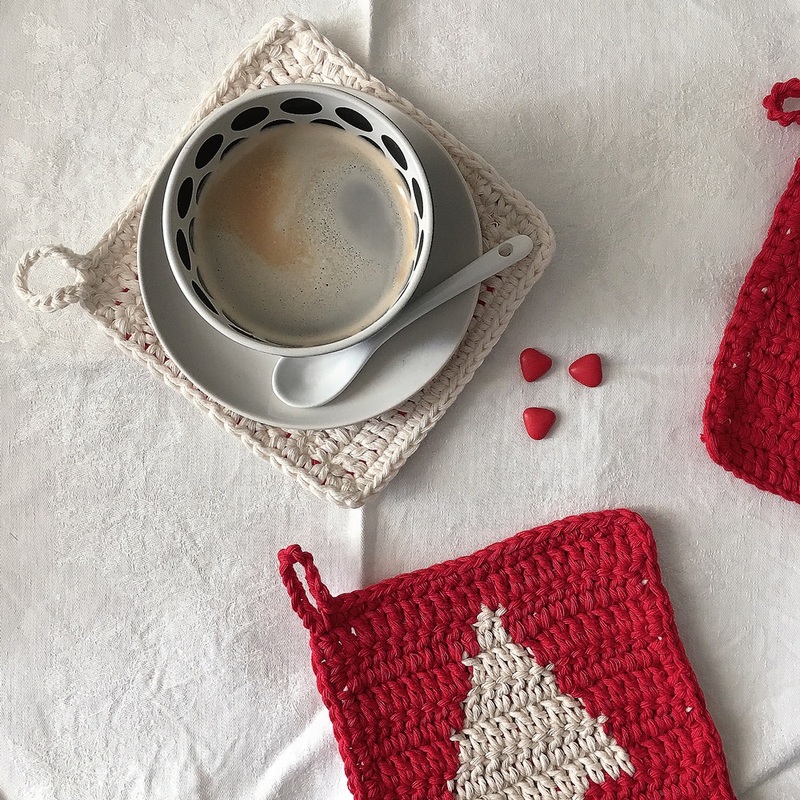 The pattern level is intermediate, the Tapestry Crochet technique is simple, but you need a little practice, and just know the basic stitches! For a last minute little gift, or to decorate your Christmas table in a creative way, get to work! Download here the Free Pattern! You will find all the steps, clearly indicated, completed of charts and pictures! And remember … they can also be used as coasters! If you would like more information on this yarn, on this project, or on any of our other products, do not hesitate to contact us: leaving a comment below or through our store chat! And if you like this scheme, take a picture and share it on Instagram with the hashtag #bettaknit or #ilovebettaknit!